Noodleheads See the Future Wins Numerous Awards! The Future Looks Good for Noodleheads! More Movies of Children Telling Stories! Noodleheads See the Future, the second book of the Noodleheads series was named a 2018 Theodor Seuss Geisel Honor Award Winner and Notable Book of the Year by The American Library Association! 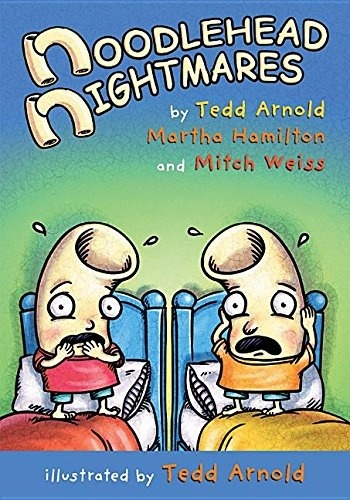 The series is a collaboration between Martha and Mitch and Tedd Arnold, best selling author/illustrator of the Fly Guy series. Named for the world-renowned children’s author, Theodor Geisel, a.k.a. Dr. Seuss, the Geisel Awards are given to the “most distinguished American books for beginning readers.” All three authors will be traveling to New Orleans in June to accept the Award at the American Library Association Conference. 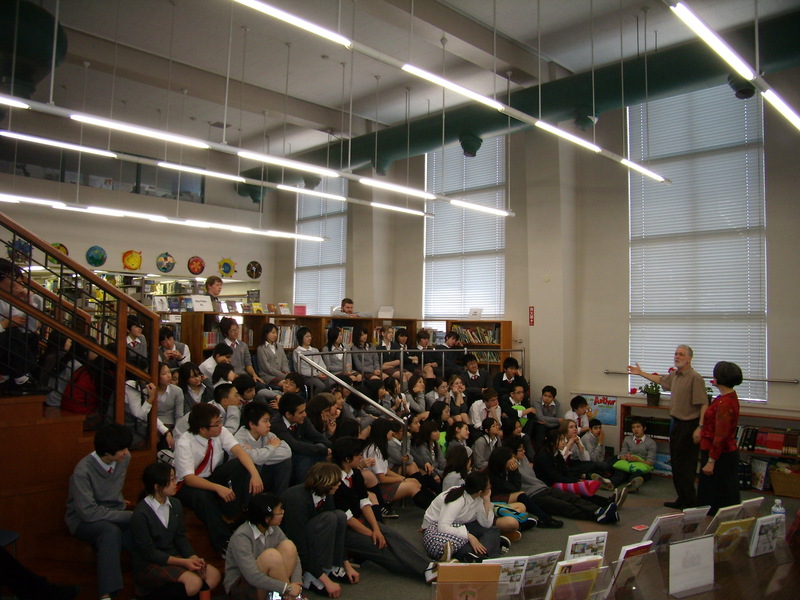 To read about the 2018 Geisel Awards, click here. If you want to know more about the Noodleheads Series and the collaboration between Tedd and Martha & Mitch, read this interview. Noodleheads See the Future had already garnered starred reviews from School Library Journal and Kirkus Reviews, and was a Junior Library Guild Selection. The first in the series, Noodlehead Nightmares, also received numerous positive reviews, and Noodleheads Find Something Fishy will be out in September 2018. Stay tuned. Four More Books to come (a total of six!) 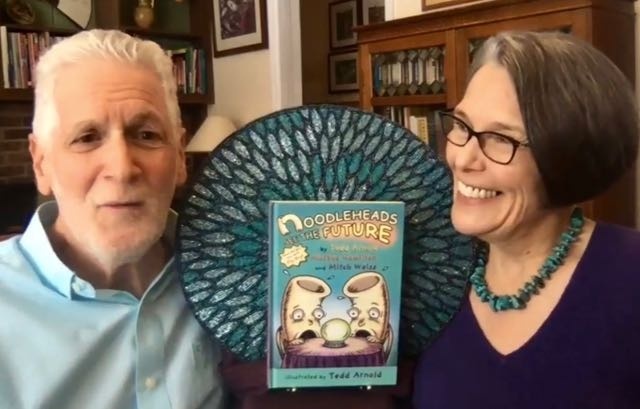 in our Noodleheads series co-written with Tedd Arnold, best selling author/illustrator of the Fly Guy series and many other children’s favorites. We just signed the contract! The third, in which Mac and Mac try their hand at fishing, will be out in February, 2018. The book also got two starred reviews, one in School Library Journal, the other in Kirkus Reviews. So exciting! Click here to read them. 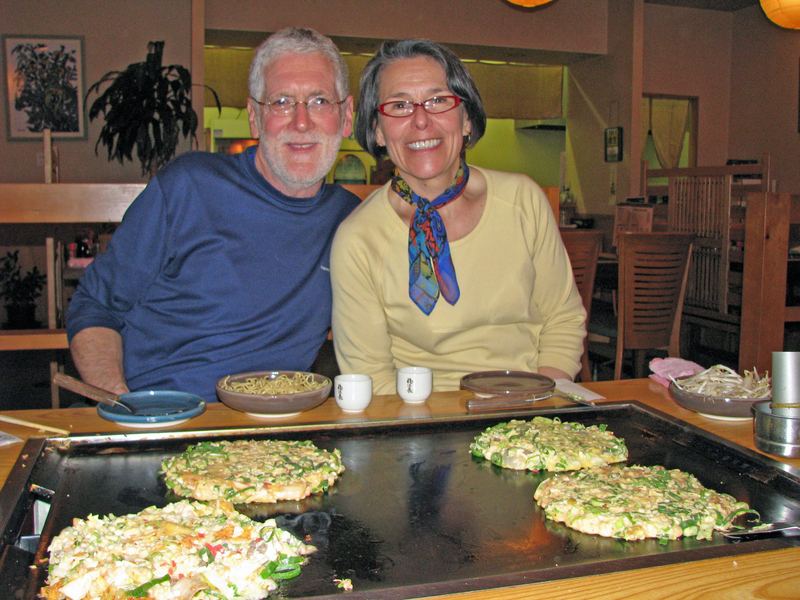 To read a March 2017 article in the Ithaca Journal, click here. Noodlehead Nightmares, the first in the series, (now available in paperback as well as hardbound) was one of seven finalists in the Grade 3-4 Category for 2017 Children’s Choice Book Award. Sponsored by the Children’s Book Council and Every Child a Reader, the awards provide young readers with an opportunity to voice their opinions about new books being written for them. The finalists for the Children's Choice Book Awards were chosen in pre-voting by 36,000 children nationwide. What an honor to be chosen by children! It also got excellent reviews. Click here to read them. After a great deal of soul searching, we have decided that the 2017-18 year will be the last for our Ithaca storytelling project. We are not retiring from storytelling but we do want to slow down. 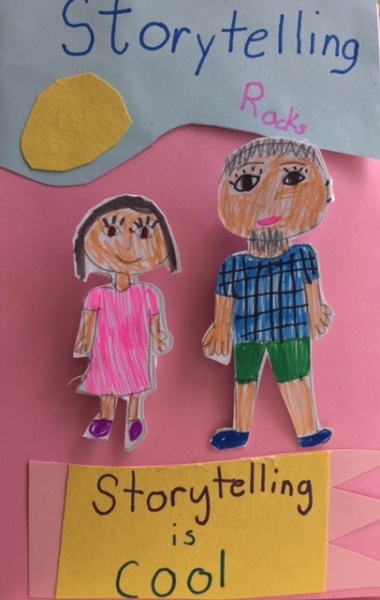 We were touched to read that one Ithaca third-grader began her thank you letter to donors this year by saying, “Let Mitch and Martha keep telling stories for the rest of their lives!” Several teachers have said things such as, “Please don’t retire. You LOVE your work! You can’t ever stop doing this!” And parents plead, "I have a four-year-old. PLEASE--just a few more years!" We feel the love and are immensely grateful. Working in our hometown has brought us great joy; we know that we are lucky to still feel the same passion for our work as when we started telling stories in 1980. We began the project at Enfield School in 1986 and added all the other schools in 1989. We were lucky to write and receive grants from the New York State Council on the Arts (NYSCA) for the first fifteen years. We thought the project would surely end in 2003 when NYSCA stopped funding district-wide grants and the ICSD cut funding as well. We were able to keep it going by fundraising in the community for the last fifteen, and could not be more grateful to the generous foundations and individuals who have supported us. 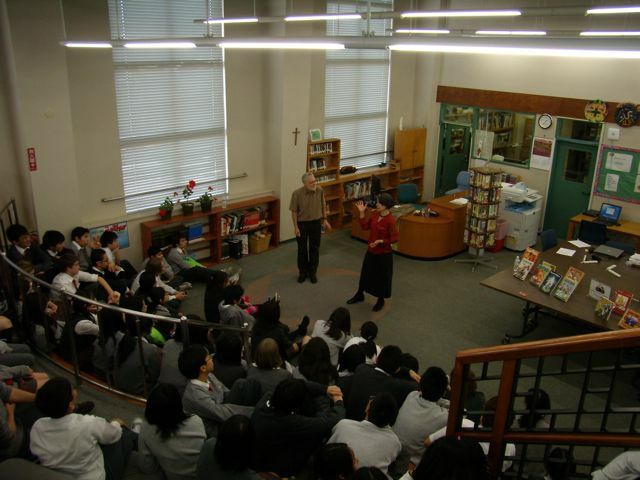 We plan to devote more time to our writing and Author Visits—and less to fund raising. Although we are incredibly sad to think of not working in Ithaca schools, we are excited by the thought of not having to set an alarm as often. 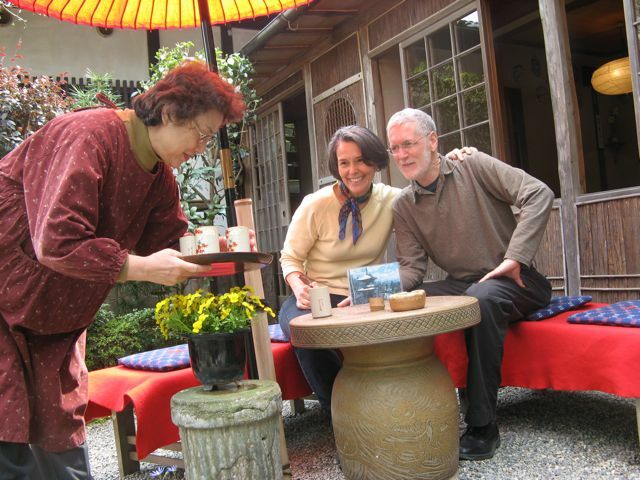 We also look forward to being able to work and visit friends and family in warmer environs during the winter months which we have always set aside for the Ithaca project. Many thanks for your support and good wishes. Ithaca is a wonderful community and we are thrilled to be able to call it home! Click here to read reviews.. 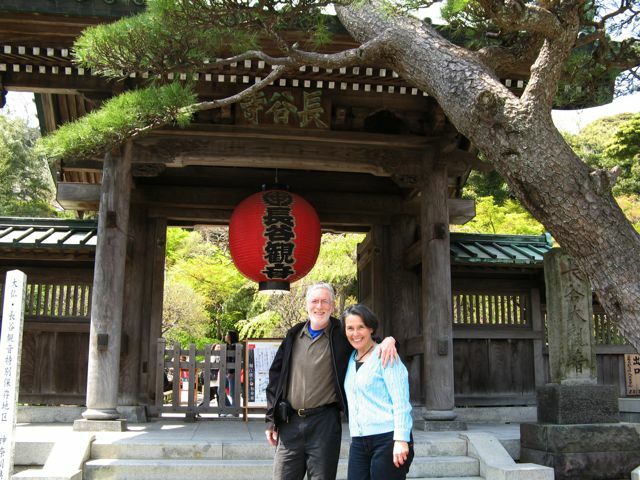 Although we have been full-time professional storytellers for more than thirty years, and strongly believe that stories are excellent tools for teaching about desirable behaviors and strengthening character, we have almost never told fables ourselves. 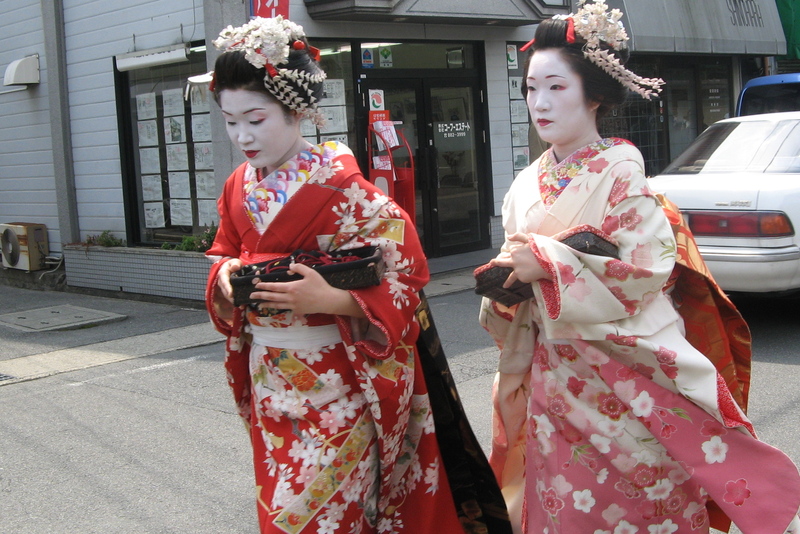 By their very nature, fables are didactic and "preachy" and we have always preferred folktales that allow listeners to take away their own meanings. However, when we started teaching storytelling skills to children in elementary schools, we were surprised that they were just as likely to choose to tell a fable as they were a scary story, a pourquoi tale, or a trickster tale. The versions of the fables in this book are our own, but we have learned a great deal from hearing children retell them over many years. Children use our original scripts but are encouraged to draw story maps and tell the stories in their own words. They travel to other classrooms to share their stories and then tell at a culminating event for families. Children are drawn to fables because they are trying to make sense of the world. 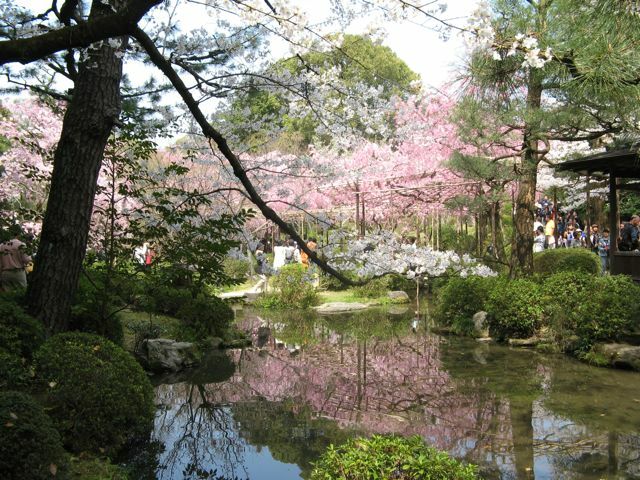 They have a keen sense of fairness and want to figure out what is right and wrong, good and bad. Many children don't know expressions such as "the boy who cried wolf," and hearing a classmate tell this story makes the meaning abundantly clear and forever etches it in their minds. And what fun to hear a classmate shouting, "Wolf! Wolf! Help!" Another interesting thing that happens is that children whose stories do not have a stated moral at the end often want to add one, evidence that storytelling teaches them to think critically and make their own meanings. We have a federal not-for-profit arm called Tandem Productions that enables us to write grants to foundations and solicit funding from a variety of sources. This has allowed us to lead a storytelling project for almost thirty years in our hometown district. 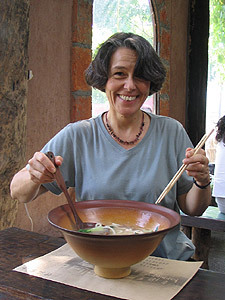 (Click here to read articles that describe the Ithaca storytelling project.) As school budgets continue to tighten, we hope that Tandem Productions can have a greater impact in other districts as well. When we are able to help with funding from our not-for-profit arm, this makes the difference in whether or not a storytelling residency happens. For information on how you can contribute, click here. We are lucky enough to have led a storytelling project in our hometown school district in Ithaca, NY for almost thirty years. For most of that time the project has taken place in all eight elementary schools and focused on teaching third graders (approximately four hundred fifty students each year) to tell stories. 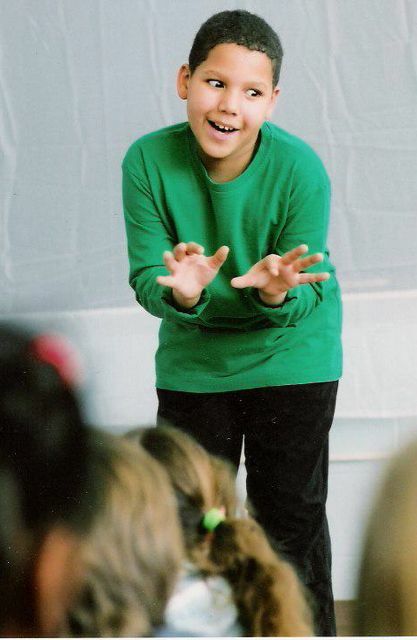 During the project each third grader chooses a folktale, learns performance and public speaking techniques, and tells the story at an evening event in front of family and friends. Students also tell at the annual Ithaca Festival and at local homes for senior citizens. Polls consistently find public speaking to be the greatest fear of adults. This project introduces the skill to children in a fun and educational way. Although funds were cut in recent years because of the dire budget situation, the project still continues. For more information and/or to make a contribution, go to Tax-Exempt Donations. Also, you can click here to read articles that describe the history of the project in our local Ithaca newspapers. 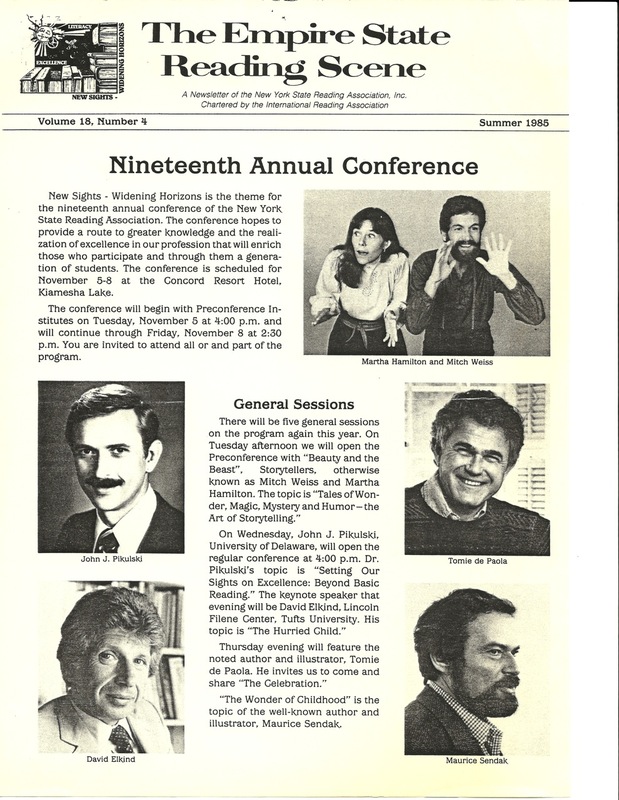 In 1985, the American Library Association (ALA) began a tradition of asking some of the world's best-known celebrities to lend their images for use on large posters with a simple but powerful message--READ. ALA now allows schools and libraries to buy the rights to create their own poster with local celebrities. We worked for many years at Panama Central School and their fabulous librarian, Patti Lundquist, asked us to pose for one. ALA allows it to be copied for not-for-profit use, so feel free to make a copy if we will be visiting your school. Just click on the small poster. 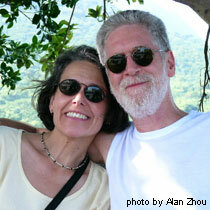 It's Official: Thirty-Seven Years as "Beauty and the Beast Storytellers"
What? Thirty-seven years? How could that be? It does seem like a dream sometimes but it's true. Luckily, our work brings us great joy and we are still having a ball. We missed celebrating our thirty-year milestone as "Beauty and the Beast Storytellers" because we moved and are happily settled into our new home. We're still in Ithaca, now a couple miles closer to town. Selling one home and buying another, going through all of our belongings, packing, moving, and doing a big renovation took a great deal of our time and energy in the last few years but we love our new spot. While going through everything for the move, we found lots of great scrapbook items. Stay tuned to this spot - we will add some highlights now and then. 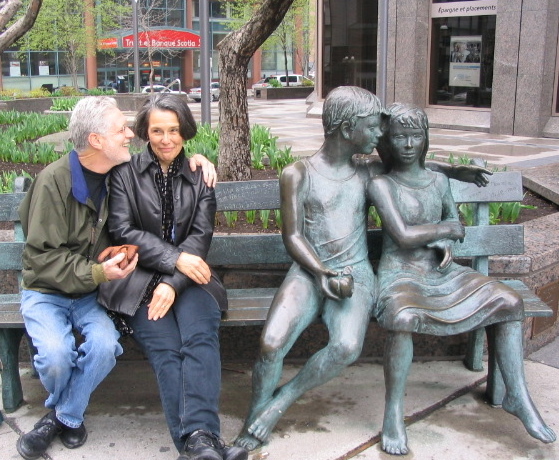 A favorite--our meeting with Maurice Sendak--follows. 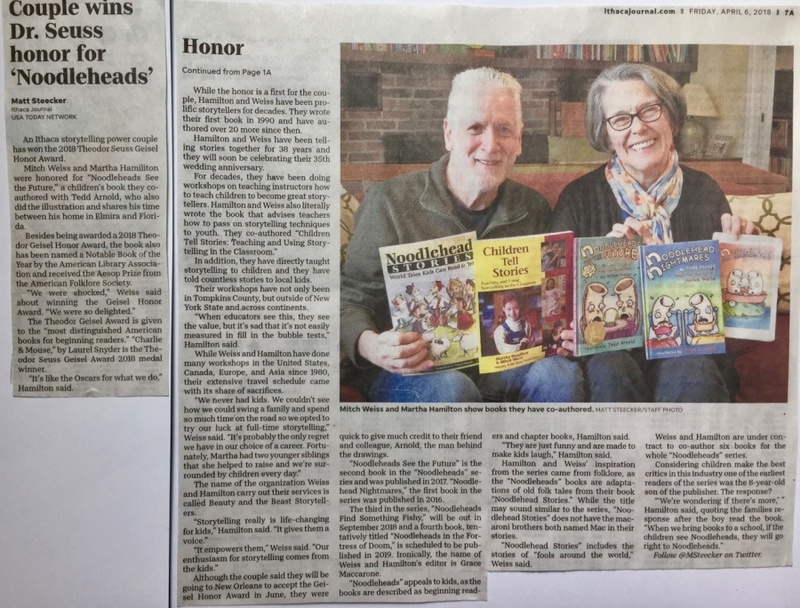 We couldn't help but laugh when we got the announcement with us on the top of the page with Maurice Sendak, Tomie DePaola and noted educators below us. Just click on the small flyer. In many ways we felt a bit like kids who had just been telling stories a few years, and here we were surrounded by famous folks. Mitch and Maurice ended up sitting next to one another at the initial party for presenters. Oddly enough, they bonded over their footwear. Maurice was dressed in a suit and sneakers and Mitch, to Martha's horror, was wearing winter boots. The next morning, as were were leaving the massive dining room (seating capacity for 3,000! 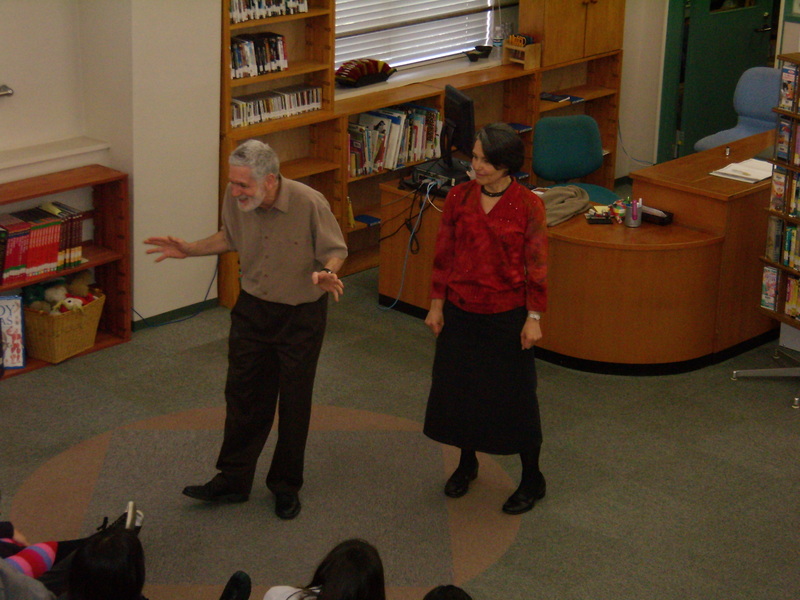 ), Mr. Sendak was walking in. He made a beeline toward us and said, "Would you two have breakfast with me?" We explained that we had already eaten but would love to sit with him. He said, "If anyone asks, I'll just tell them you're my kids." We fully understood that his invitation probably had more to do with avoiding the throngs of fans who might greet him in the dining hall than any great desire to dine with us. Nevertheless, he was gracious and we had a lovely time. We realized later that he had obviously gotten the same announcement and assumed that we must be at least somewhat famous, because he even mentioned "my conversation at breakfast with Mitch and Martha" during his brilliant keynote as if everyone in the huge crowd would know us. Thanks, Mr. Sendak, for giving us a funny little story to tell. But, most of all, thanks for revolutionizing children's literature. It was never the same after Where the Wild Things Are, which was the first story we ever told together, and is still our favorite children's book. We are working on adding more videos of child tellers on our site - so keep checking back. Just click on "Watch Movie Clips" at the top of the page and scroll down. 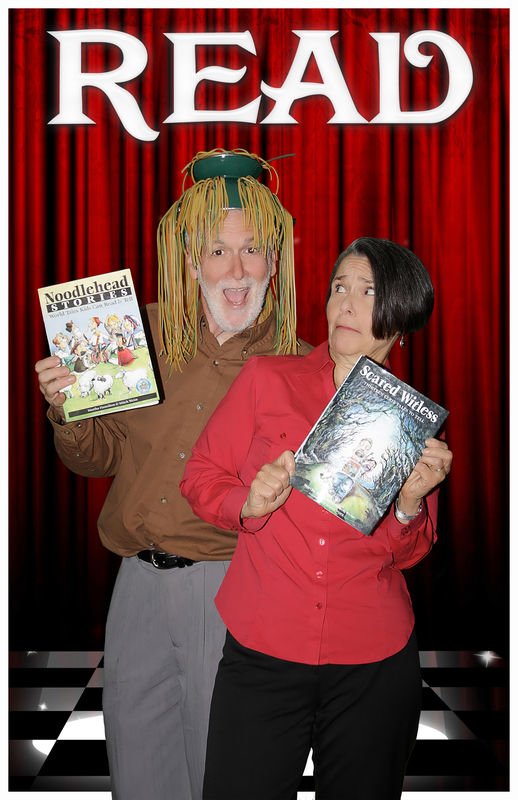 Check out Morgan telling "Dead or Alive" from our Noodlehead Stories: World Tales Kids Can Read and Tell. She was incredible and we were stunned to learn that she is quite shy and rarely speaks up in class, even though this is something that we often hear about wonderful tellers when we teach storytelling. Needless to say, she also surprised her teachers and classmates. Enjoy! Learn how you can get five graduate credits for reading our book, Children Tell Stories: Teaching and Using Storytelling in the Classroom, right at home in the comfort of your own armchair. For information, see www.armchaired.com. For info on the course for our book click here. 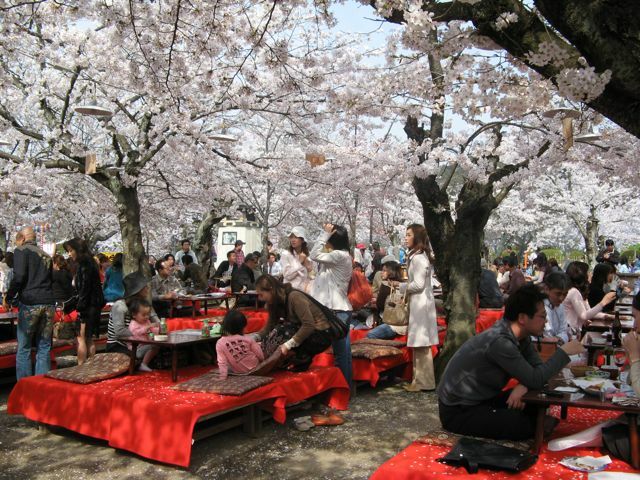 The entire country seems to stop and picnic under the cherry blossoms, a tradition that is over a thousand years old. 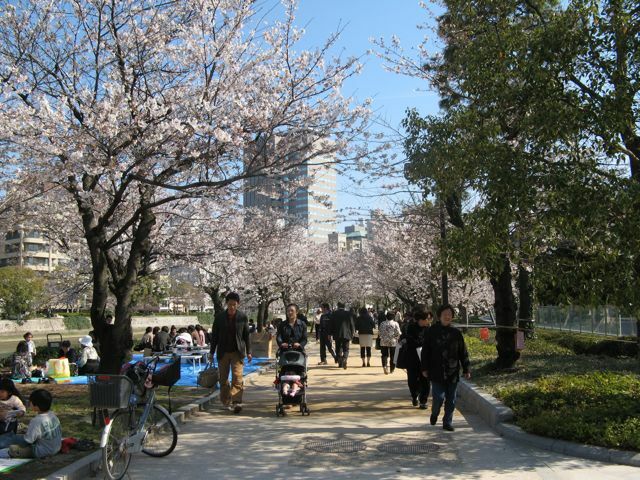 Those planning these "hanami" carefully watch the predictions of the weather bureau because the blossoms only last for a week or two. 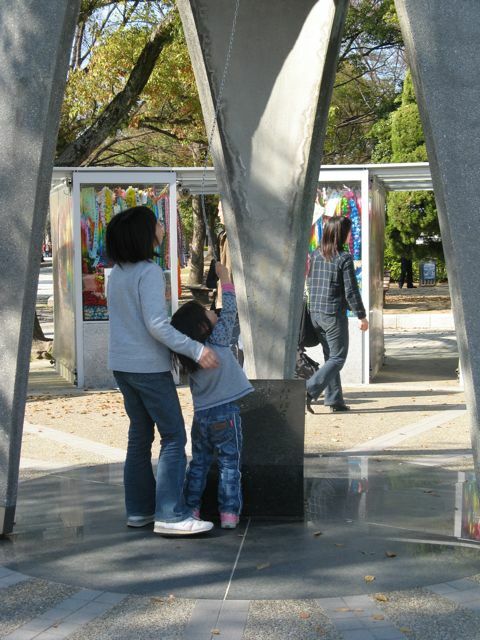 The story of Sadako, the girl from Hiroshima who was two when the bomb was dropped and developed leukemia several years later, had always loomed large in our minds, but going to the Children's Peace Monument truly brought the story to life. 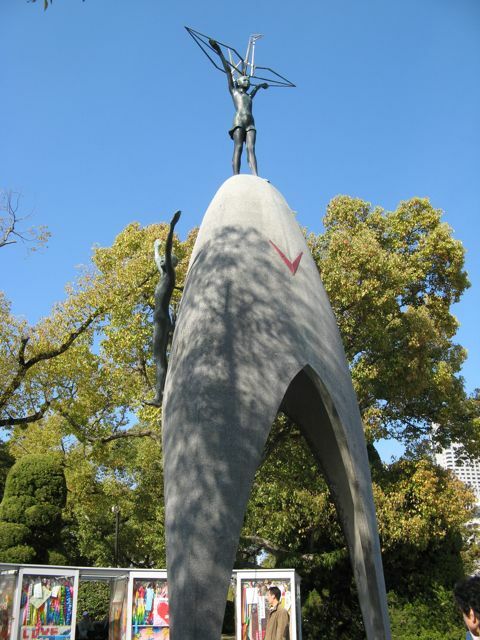 A statue of Sadako depicts her with outstretched hands while a crane, the Japanese symbol of longevity and happiness, passes above her. 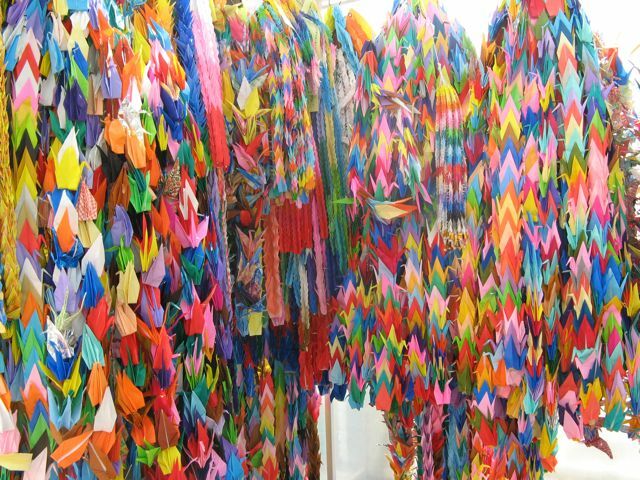 After being diagnosed, Sadako began to fold origami cranes in the hope that if she could fold 1,000, she would live. Sadly, she did not survive, but her story lives on and children throughout the world send paper cranes that are displayed at the monument. They also ring the peace bell under her statue. 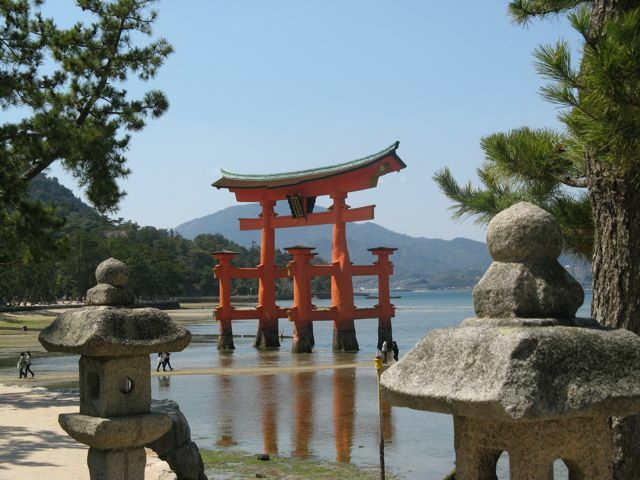 Visiting this beautiful island on the same day that we went to Hiroshima provided a welcome contrast. 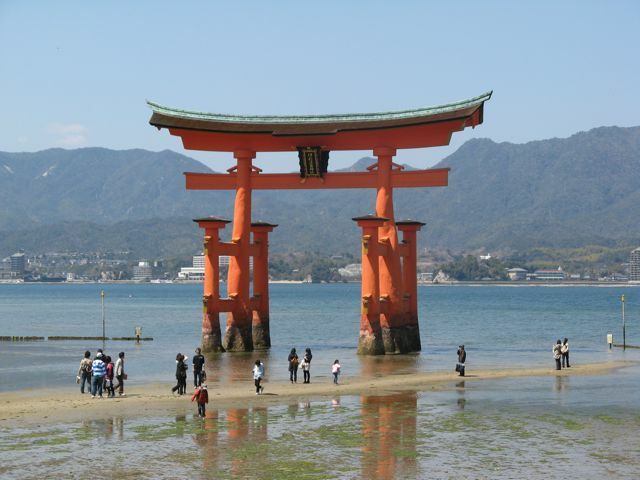 The torii (Shinto gate) which sits in the sea signifies that the entire island is sacred. 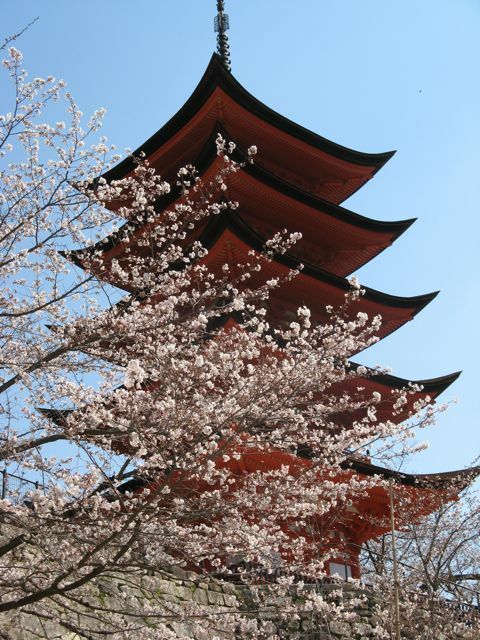 We spent three glorious days sightseeing in this old imperial capital at the very peak of the cherry blossoms. 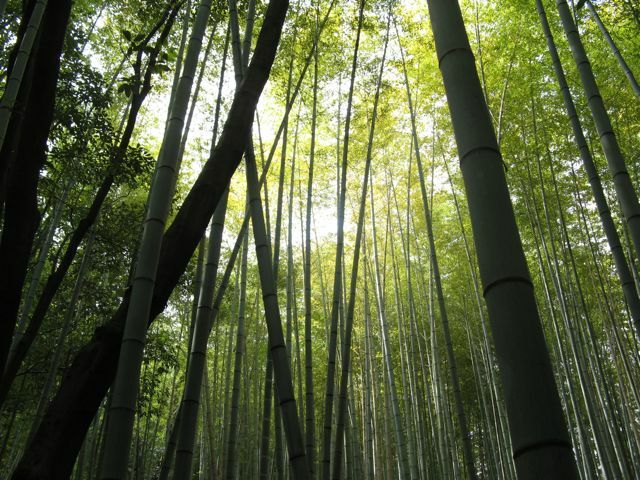 Pictured are a bamboo forest, two maiko (geisha in training), and us being served tea at a lovely restaurant where we ate lunch. We spent a day wandering through this lovely seaside town. 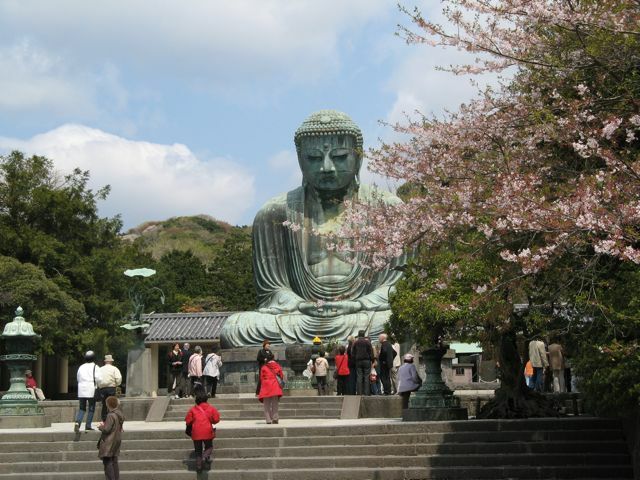 Photos show us at the entrance to Hasa-dera Temple; the Great Buddha which dates from 1252 and has survived earthquakes, tsunami, fires, and typhoons; and a wedding party that we happened upon. 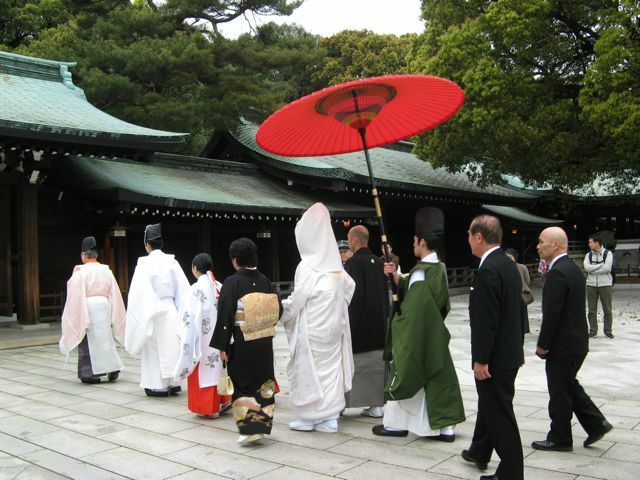 Photos show another wedding procession, this one at the Meiji Shrine; Senso-ji Temple, Tokyo's most sacred and spectacular temple; and perhaps our favorite experience of all because it was like nothing we ever had or will see again - the tuna auction at 5:30 AM at Tsukiji Fish Market. 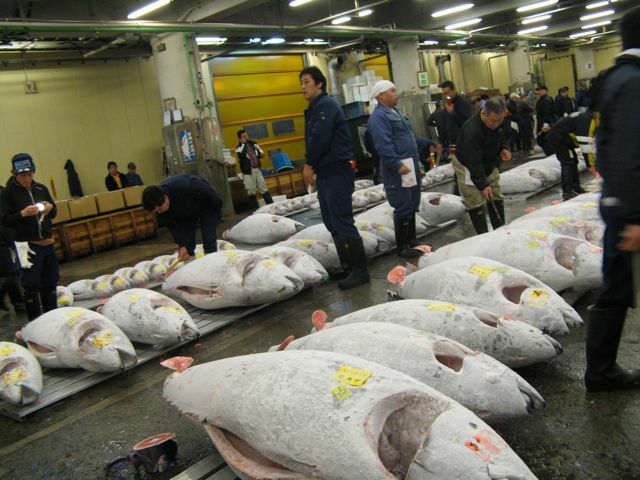 These enormous tuna, which can cost as much as $14,000, are bought by middlemen and resold to restaurateurs. Yes, we really did work as well as sightsee. These photos were taken at St. Maur International School in Yokahama. 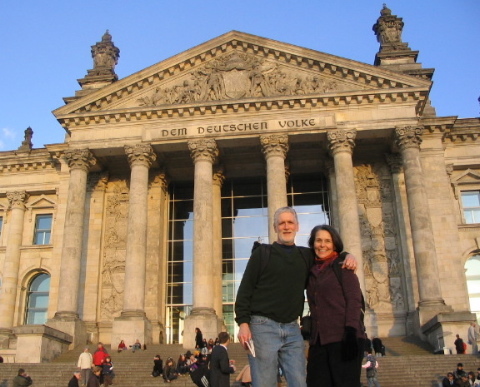 In March 2007 we had a wonderful time telling stories at the Berlin Brandenburg School, a private international school where all classes are taught in English. 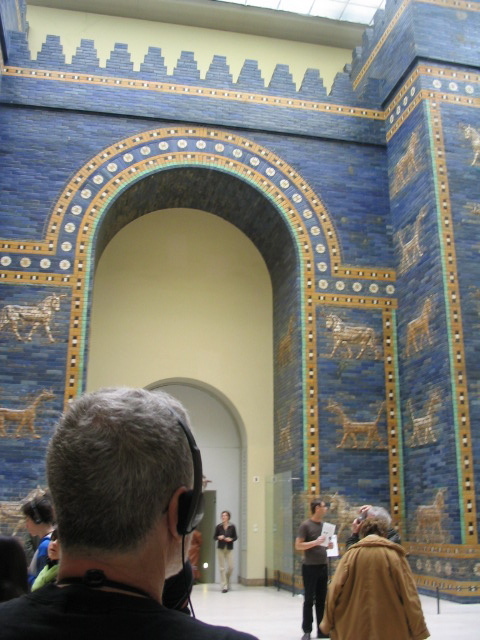 Berlin highlights included seeing the walls of the ancient city of Babylon in the Pergamon Museum (see photo), the Jewish History Museum, the Brandenburg Gate, the Reichstag (see photo), and the remains of the Berlin Wall and Checkpoint Charlie. In Prague we presented at the annual conference of the Central and Eastern European Schools Association; we had done a presentation for them in Bucharest, Romania in 2002. This was our fifth trip to Prague and, even though it has changed drastically since our initial visit in 1990 and seems to get more and more crowded each time we visit, it is still a joy to wander the streets and see the amazing sights. 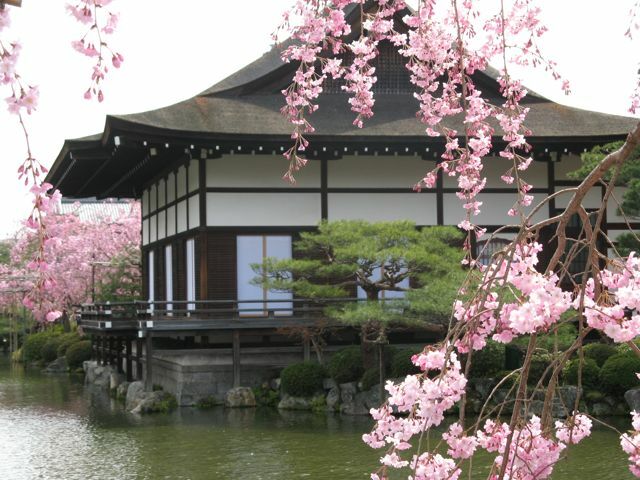 (We doubt we would enjoy it during the busy season in the summer, however.) The final night of the conference was a great treat - all participants were invited to a celebration at a restaurant right on the river beside Charles Bridge with delicious food and music by a band called the Apples - four young women who played lots of Beatles' songs as well as other favorites which had us and the rest of the crowd dancing up a storm. The photo is of the crowd gathering to see the hourly show of the world famous clock on the Old Town Square at night. In May 2007 we had a terrific time working at Selwyn House, a private school for boys. The three teachers with whom we worked not only did a great job of preparing the students for our visit, but they also turned out to be world class tour guides. When we were not working at the school we spent our time walking the beautiful streets of Montreal. 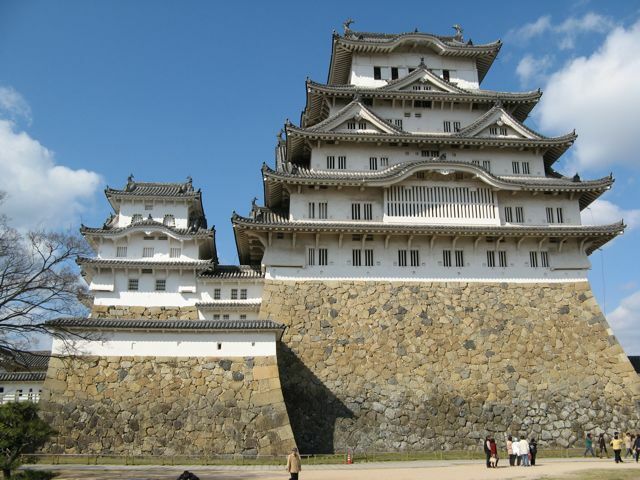 It is like visiting a European city without leaving North America. 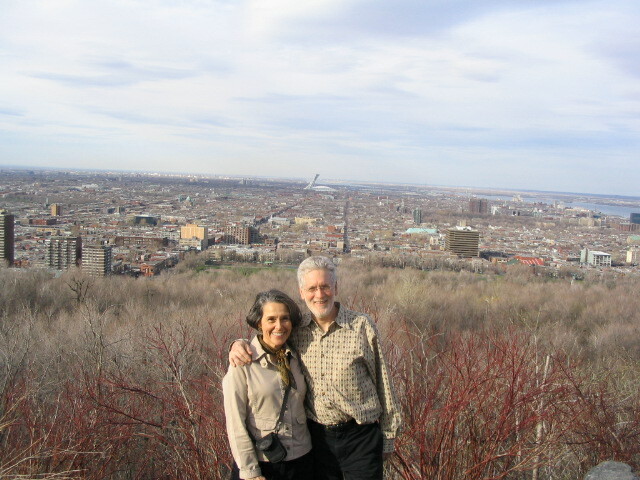 The best way to get oriented is to walk up Mont-Royal which is part of a city park overlooking all of Montreal (see photo). 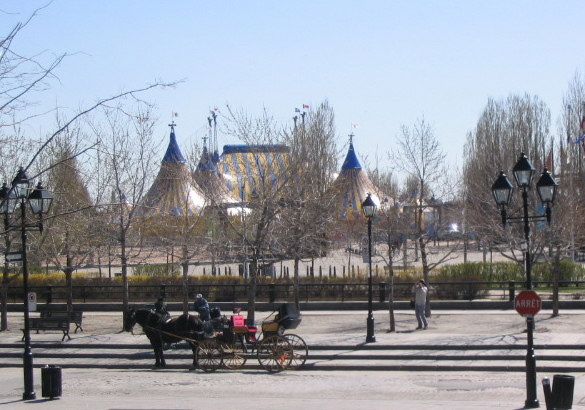 We had the opportunity to attend one of Cirque de Soleil's performances (see photo of their tents). It was an experience that we will never forget. The performers took our breath away and the entire evening was magical. In our travels we always find time for a silly photo or two (see photo). Montreal is a city that we hope to return to soon. 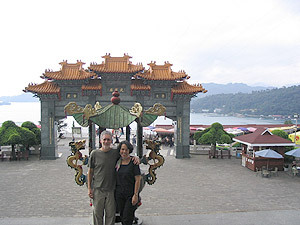 In December 2006 we returned to Taiwan for our third trip in as many years. 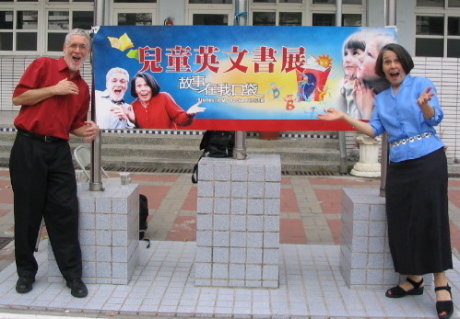 In fall 2005 we spent five weeks there and in Hong Kong giving speeches and leading workshops for teachers of English (from pre-school to college levels). 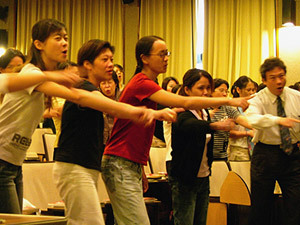 After our original summer 2004 trip, workshop participants had requested that we return to give more in-depth, hands-on seminars. 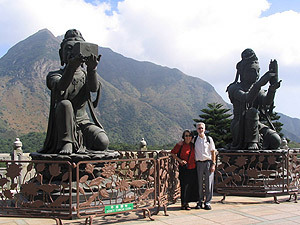 During the most recent trip in December, most of our time was spent telling stories for Taiwanese families at events that were held by East and West Publishers. 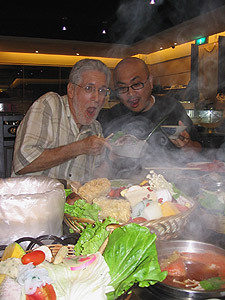 This Taiwanese publisher arranged and sponsored all three trips and has published translations of many of our books. 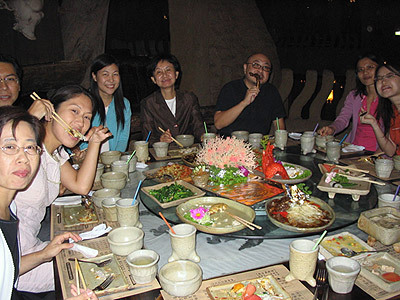 We have found Taiwanese teachers to be excited about the idea of teaching students to tell stories as part of their English language curricula. Likewise, parents and children are enthusiastic about putting books aside now and then and telling stories - whether old tales, new tales, tall tales, or small tales - to one another. or showing us their beautiful country. 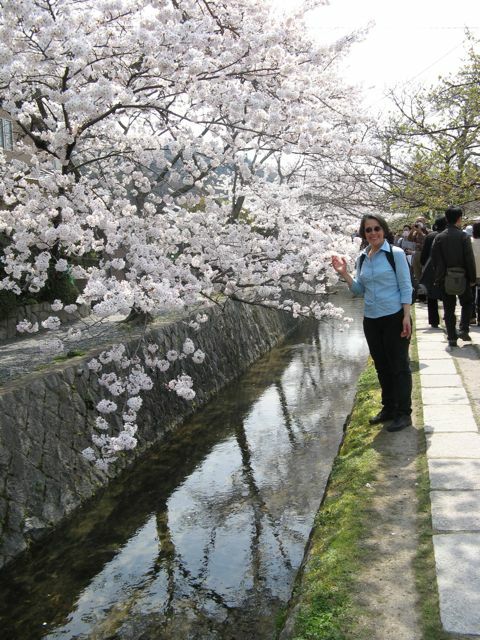 For a brief slide show with more highlights of our trips, click here. The Ghost Catcher wins Irma Black Honor and Storytelling World Award! The Irma Simonton Black and James H. Black Award for Excellence in Children's Literature has been presented annually since 1973 by Bank Street College of Education. Irma Simonton Black was a writer and editor of children's books and a founding member (in the 1930s) of the Bank Street Writers Laboratory, which included such stars of children's literature as Margaret Wise Brown and Maurice Sendak. The Award is unusual in that children are the final judges of the winning books. First, an adult group of writers, librarians and educators choose approximately twenty-five books they consider the best candidates for the Award. These books are then given to classrooms at the Bank Street School for Children where the students read and discuss the books and select four finalists. These four books--called the Irma Simonton Black and James H. Black Honor Books--are placed in classrooms in several schools across the country where children choose the winner. We were thrilled that The Ghost Catcher was selected as one of the honor books. 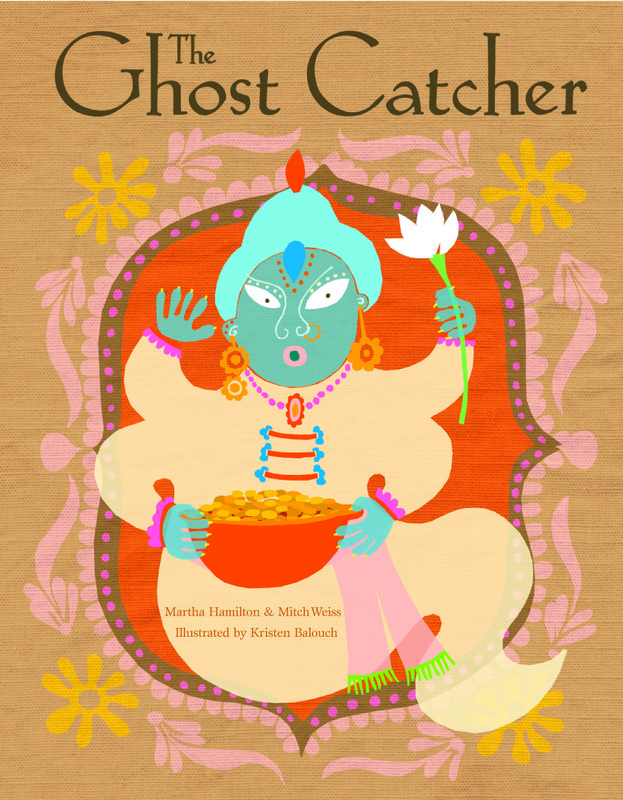 The Ghost Catcher also received a 2009 Storytelling World Award! In this Bengali folktale, a generous barber uses his wits and his trusty mirror to outsmart some scary, but unintelligent ghosts. The beautiful illustrations are by Kristen Balouch who won the Ezra Jack Keats Award. Kirkus Reviews says "Balouch's bright, memorable illustrations create a fanciful Indian setting with crisp, colorful figures digitally placed on a fabric background for texture. Teamed with spirited and eminently tellable prose, they conjure up a colorful, magical land where cleverness can save the day." 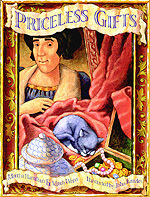 Priceless Gifts received a 2008 Storytelling World Gold Award! Kirkus Reviews wrote, ""Storytellers Hamilton and Weiss invoke the exotic days of the spice trade in their retelling of a traditional Italian folktale. . . Kanzler's sumptuous artwork deftly conveys the grandiose tenor of this folktale. Regal red hues and other deep jewel tones dominate the illustrations, while visible brush strokes create the crackled effect of an aged painting, furthering the antique feeling of the text. Readers will enjoy discovering this gem of a folktale from long ago." This has been one of our favorite stories to tell for years. It's a compelling tale with a powerful message about what's truly valuable in our way too material world. The ending has a twist that is surprising, satisfying, and humorous. 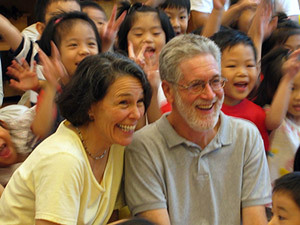 Children's Literature wrote, "Husband and wife storytellers Martha Hamilton and Mitch Weiss bring to life an Italian folktale set during the glory days of Italy's monopoly of the Spice Islands . . . Rich, jewel-toned illustrations laced with humor make this engaging tale a perfect introduction to studies of explorers and the spice trade, and will provoke lively discussions about gifts, especially the kind that money can't buy." Story Cove is a branch of August House Publishers. All Story Cove titles come from a variety of cultures and share simple, universal lessons and values. The 8x8 paperbacks, which retail individually for $3.95, are supported with lesson plans that match the NCTE national standards. These books are also sold as part of Story Cove Teacher Activity Packs that include: 7 copies of the Story Cove book; differentiated lesson plans for 4 grades; and a CD with the animated version of the story, read-along audio tracks, along with accompanying activities, projects, and games. We have five Story Cove titles thus far. (Note: Only individual titles are for sale on our site; go to Kaplan Early Learning Company to order the Teacher Activity Packs. Only two of our titles are available in the activity packs at this time. 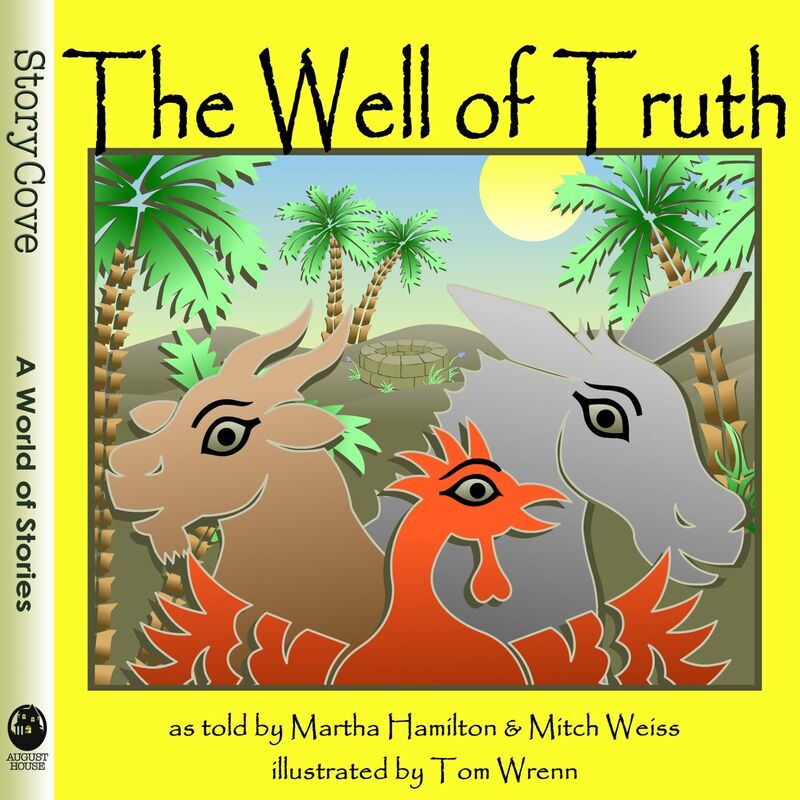 The Well of Truth is a folktale from Egypt in which Goat, Rooster, and Donkey try their luck at farming together. Donkey, however, is unwilling to share and learns his lesson at the Well of Truth. 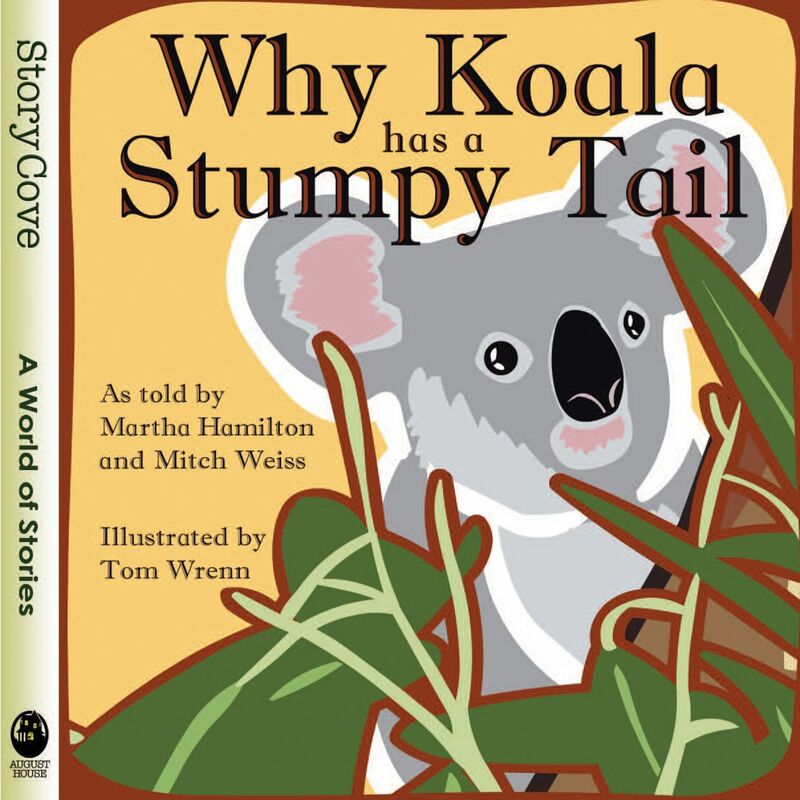 Why Koala Has a Stumpy Tail is an Australian folktale in which lazy Koala loses not only his long tail but also his good friend, Tree Kangaroo. 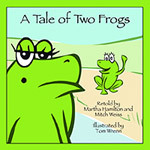 A Tale of Two Frogs, which was inspired by a Russian Folktale, tells of how two sister frogs fall into a bucket of cream and learn the importance of never giving up. 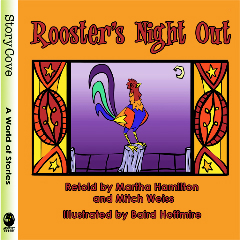 Rooster's Night Out is a chain story from Cuba in which Sun helps Rooster to get cleaned up for Heron's party. As a sign of gratitude, Rooster crows every morning to wake Sun up. 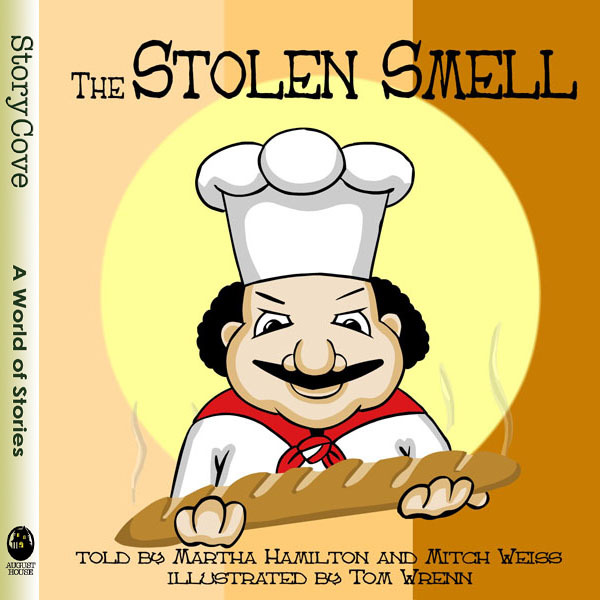 The Stolen Smell is a folktale from Peru in which a baker is so stingy that he wants to charge his neighbor just for smelling his baked goods. When he takes his case to court, the wise judge decides to teach the greedy man a lesson. If we ruled the world, children would be encouraged and given numerous opportunities to tell stories - folktales from various cultures, stories written by their favorite authors, and, of course, their own stories. This would be done formally and informally, to one person and in front of a group, in school and at home. 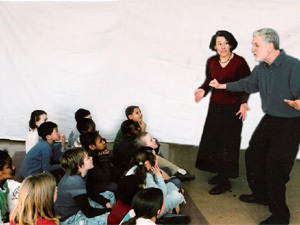 Teaching children to tell stories helps them to find their own voices. It also creates excitement about reading and writing their own stories. When we work in classrooms teaching students to tell, teachers note that students are really excited about reading and telling more tales from our books. 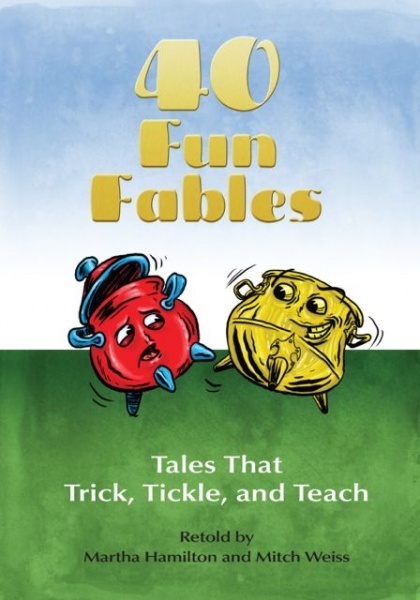 They love all kinds of stories - from silly to serious, from pourquoi tales that explain something peculiar about an animal or natural phenomenon to "noodlehead" stories about fools from which children, surprisingly, learn a great deal. But if we had to choose their most beloved genre of stories for telling, it would undoubtedly be scary tales. Stories such as "Tilly," "The Golden Arm," and "On a Dark and Stormy Night" from Stories in My Pocket: Tales Kids Can Tell have always been huge favorites in every classroom where we've taught student tellers. It's never been easy to find scary stories that we feel are appropriate for the elementary classroom, so we decided to write our own collection. Kids will love entertaining their friends, family, and classmates with these jump tales and shaggy-dog stories. As with all the stories in our collections, these tales are tried and true - we've seen countless students tell them. They're not too gory or too scary and all have elements of humor. Kirkus Reviews calls them " . . . just right for inducing 'goosebumps, gasps and giggles' in susceptible audiences of any age." Keep checking back for information on new books because the kids keep us excited about retelling more folktales. Yes, we do have the best job in the world - as we toil away in our office retelling tales, it is with a picture in our minds of how the children's faces will look as we tell the tale - "storystoned" is the very apt word that we recently heard educator/storyteller Rosemary Vohs use to describe their slack-jawed, totally engaged faces and perfectly still bodies. 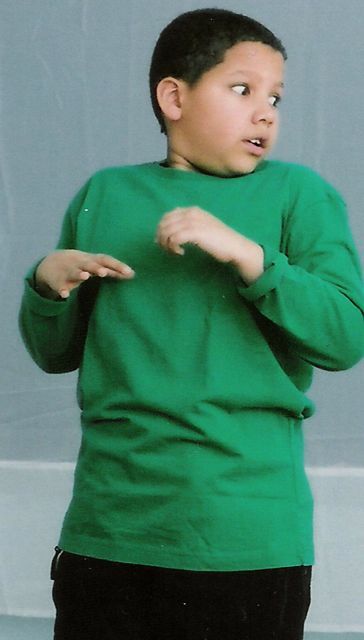 If not that image, then it's the picture of a child telling the tale to a rapt audience of his/her peers. Well, others might argue that there are better jobs, but we're sure having fun! 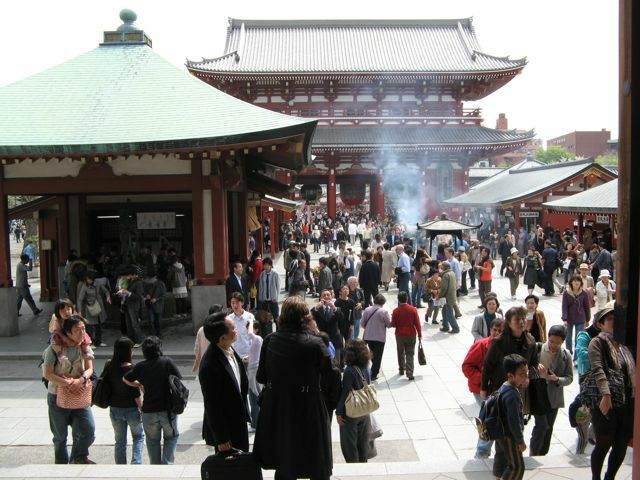 If you would like to read more about our past travels or any other old "What's New" information, click here. Copyright Martha Hamilton and Mitch Weiss, 1998-2018. All rights reserved in all media. 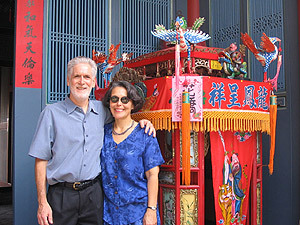 Beauty and the Beast Storytellers are the husband and wife team of Mitch Weiss and Martha Hamilton. 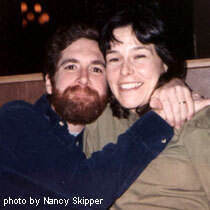 They have been winning audiences and critical acclaim throughout the United States, Canada, Europe, and Asia since 1980. Renowned for their work in teaching the art of storytelling, they are also award winning authors and recording artists.